One hundred and ninety nine years ago, in an English country churchyard, a lady was laid to rest who enraptures the hearts of millions around the world today. She was only forty one years old, and had never married, though her thoughts were all of girls in love with love and getting wed; and from those thoughts she spun tales which still enchant us. The world of her words has the crystallised completeness of fairytale. The actual world in which she wrote was, of course, as messy as ours. And different though it was in many ways, in two absolutely fundamental respects nothing at all has changed: the division into ‘haves’ and ‘have-nots’, and the careful ways in which the ‘haves’ portion out their concern for those less fortunate than them. … And so it is in reading stories. This book is dedicated to lovers of literature who have a thought to spare for the never-enough-considered undistinguished multitude who “keep those wheels a-turnin’.” This is the book about Jane Austen that you were looking for. 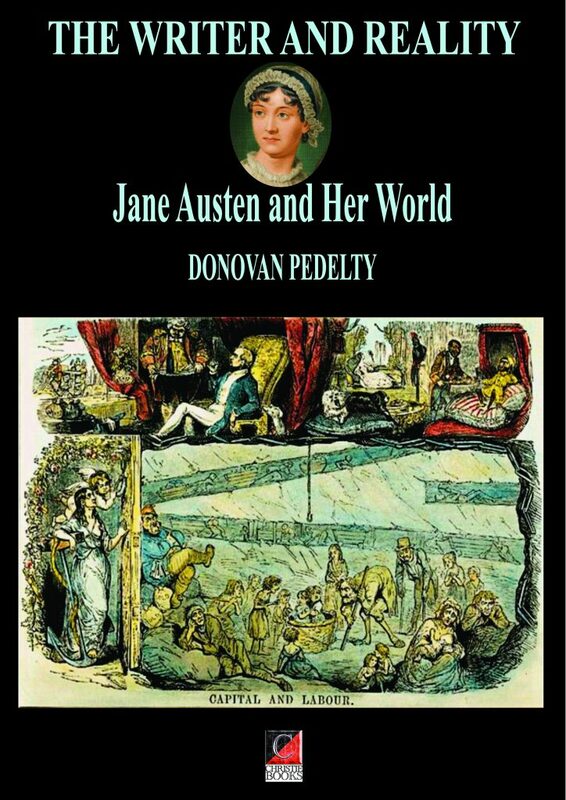 Without presupposing any background, it takes the reader on a fascinating intellectual journey documenting the enormous contribution Austen has made to the genre of literary fiction. Carefully crafted and beautifully written, as far as books on literature go, this is a masterpiece. — LOOK INSIDE!